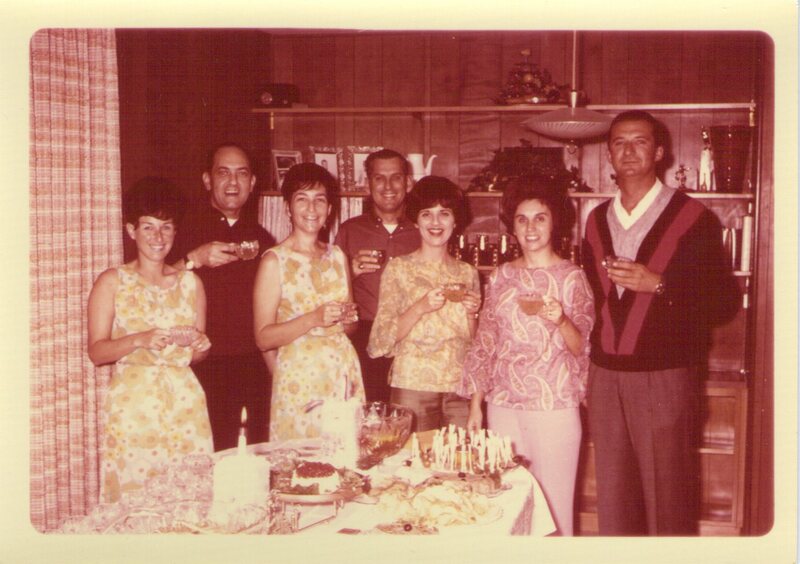 10 Comments on Food in the 1960s: Actually it was quite good. A joint post today by two of the boys from Mr Keith’s class in 1965. 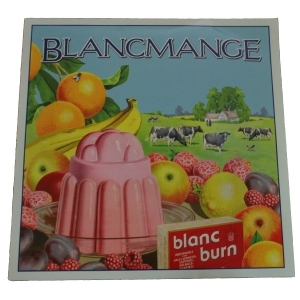 Sparked by lots of comments on here and on Twitter about the awfulness of blancmange a few days ago, even involving the band Blancmange themselves in the end, I thought it might be good, in a perverse sort of way, to do a post about the general awfulness of food in the 1960s. So I got in touch with Barry Ward, hero of the 1963 birthday party incident and one of my boyhood best friends, and suggested we both dredge through our food memories. Which we duly did. Only to come to a conclusion that surprised both of us. 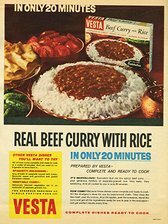 Food in the 1960s was actually quite good. 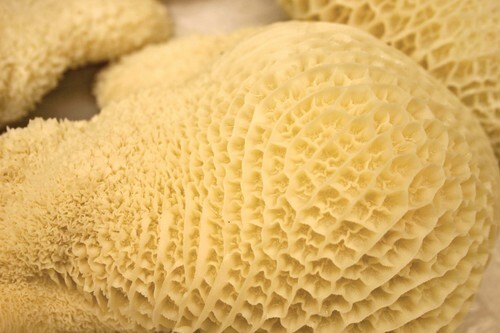 Tripe. You just wouldn’t, would you? Sounds like a bygone idyll doesn’t it. Small boy out picking wild blackberries so his mum can bake a pie. Part of the regular home baking that went on then. I remember in our house ‘shop bought’ was a term of abuse. The 60s. Not actually our families. But they could have been. 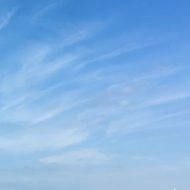 The only days when cleaning and washing didn’t happen in our house were Tuesdays and Saturdays when our mother would get the bus to Bootle and clean her elderly mother’s house, regularly. But she still cooked. Our tea when she came home on Tuesday afternoons. And a hot lunch before she left for Bootle on Saturdays. What we ate was regulated too. You could tell what day of the week it was by what we were having for our tea. Monday was bacon, cabbage and boiled potatoes. Tuesday was steak and kidney pie and so on. Saturdays, when our mum was at our Nan’s, our dad would supervise a light tea of bananas and bread one week, alternating with boiled eggs and toast the next. Once, and once only he gave in to our pleading and made us chips. There was murder. A line had been crossed. So, monotonous maybe. But all fresh, all locally bought and usually followed by a second course of home baked apple pie and custard, rice pudding or lemon meringue. So again, all fresh, even if some of it was horrible! And then there was school. We were one of the golden generations that got the full benefits of the welfare state. 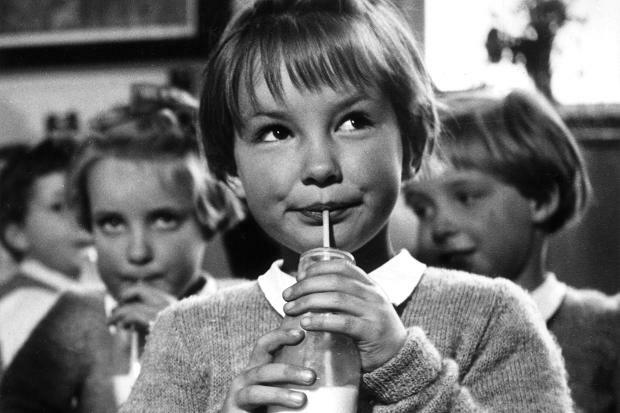 So each morning we’d all have a third of a pint bottle of milk. And in the junior school I remember us getting orange juice too. And school dinners? I didn’t like the prunes either and mainly remember us dissecting them and throwing the stones at each other. But again, undeniably, it was good fresh food we were throwing around! So where does this memory that we ate rubbish come from? You’re right Barry. 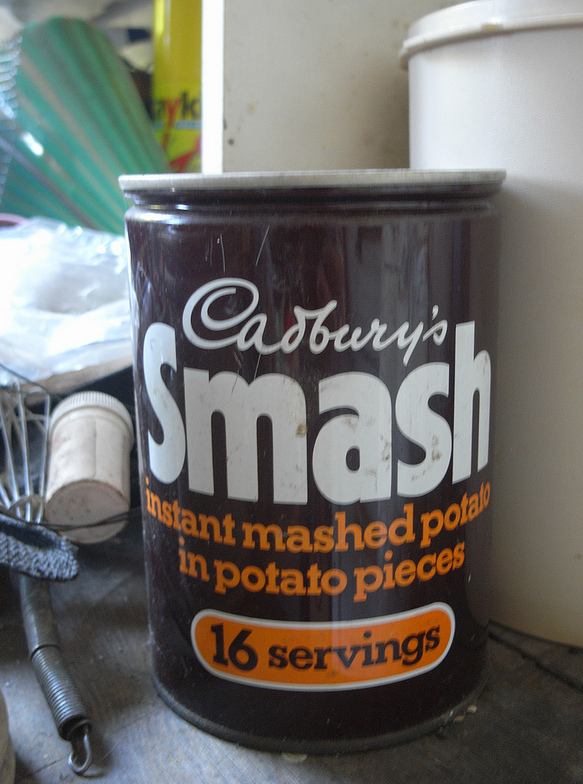 Cadbury’s Smash was invented in the 60s but didn’t take off until the mid seventies when they did those TV adverts with mechanized aliens laughing at potatoes. And Angel Delight, introduced in 1967, may have been slop, but it was at least a direct and comparatively tasty replacement for the hated blancmange. Well you can’t please everyone. But there we are. In the 60s, we shopped and foraged locally, baked from scratch every day and ate well. What a surprise. Sweets, mind you, were another thing. But that’s another post! I remember a tale of my wifes grandmother who lived in New Brighton. She was of the old school, everything was cooked at home and nothing frozen. All was fresh from the individual shops, like Barry said. However, near where she lived, in Magazine Lane a small supermarket opened and in she went. Only to be stopped by a young lad who said “you must take a trolley.” She said “I dont want one!” But he insisted and in the end he pushed the trolley round the store and she walked alongside, ’til she got to the butter counter, chose her half pound of best butter, and put it, unwrapped of course, in the trolley, and marched him round to the checkout! Well you do have to abide by the rules don’t you ? He missed a trick there. ‘Personal Shopping’ could have come to New Brighton before it got to Harrods. This was such an interesting overview of 60’s food and the routines of certain meals on certain days must of carried over for several generations. 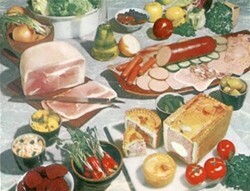 I remember the 60’s as being a time of cautious experimentation with food. Newly married and not really trained to cook I was a follower of the great bible of cookery – The Australian Women’s Weekly Cookbook. The 60’s edition actually included a section headed ‘International Foods’. Here were recipes for Spaghetti Bolognese (not tinned of course) Sukiyaki, fried rice, Indian curry. In those days I was a bit of a rebel and decided these dishes would be more exciting then the usual fare for new cooks i.e.steak, chops, stews, roasts and they could be cooked in my new Sunbeam frying pan (a wedding present of course).Looking back I seem to remember that my efforts must have been successful in terms of the Weekly’s strict instructions because my memory tells me the tastes were good. At this time restaurants that offered real Italian, Chinese and later Indian and Japanese food were just appearing on the scene. This was the beginning of the great public love affair with fine food. And yes I did make quite a good lemon meringue pie and cheese cake which was popular at this time. As for that vile tapioca, sago and red meat (corned beef in a thin mustard sauce) thank heavens I’d left those behind at boarding school. I look forward to Sweets (lollies in Australia) in the near future. Well there was no one as radical as you in 1960s north Liverpool. You wouldn’t have been able to get the ingredients. Even by the mid 70s as I started to learn to cook, using Delia Smith’s books, ‘exotic’ ingredients like garlic were not that easy to come by. ‘Sweets’ will be along any day now! I’m sure Barry’s dad would have been astonished to hear that French people liked the same food as him! Leave it up to you but I’m sure whatever you cook up it will stir up memories! I remember my school dinners in the sixties everything seamed to be freshly cooked and sourced often locally. As a schoolboy I had two dreams at that age the first was to marry Mrs Thomas the cook the second was become server at the top of the table. Alas only the second wish came true. I have however married a brilliant cook from coincidentally the same school with whom I share the kitchen. We like to think we cook as good as Mrs Thomas but we cannot make sausage gravy like she could. Can anyone rember what school dinners use to cost back them? 2/6d a week is my memory. Collected by the teacher each Friday.